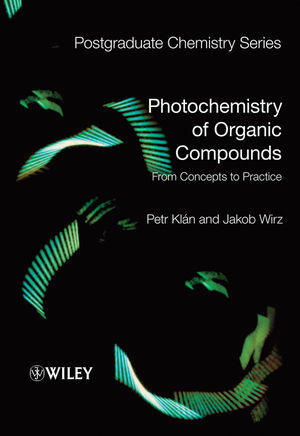 Photochemistry of Organic Compounds: From Concepts to Practice provides a hands-on guide demonstrating the underlying principles of photochemistry and, by reference to a range of organic reaction types, its effective use in the synthesis of new organic compounds and in various applications. Working from basic principles, discussing key techniques and studies of reactive intermediates, and illustrating synthetic photochemical procedures. Incorporating special topics and case studies covering various applications of photochemistry in chemistry, environmental sciences, biochemistry, physics, medicine, and industry. Providing extensive references to the original literature and to review articles. Concluding with a chapter on retrosynthetic photochemistry, listing key reactions to aid the reader in designing their own synthetic pathways. This book will be a valuable source of information and inspiration for postgraduates as well as professionals from a wide range of chemical and natural sciences. Petr Klán is Professor of Organic Chemistry in the Department of Chemistry, Masaryk University, Brno, Czech Republic. Jakob Wirz is Professor of Physical Chemistry in the Department of Chemistry, University of Basel, Switzerland. 1.1 Who’s Afraid Of Photochemistry? 1.4 Electronic States: Elements Of Molecular Quantum Mechanics. 2. A Crash Course In Photophysics And A Classification Of Primary Photoreactions. 2.2 Energy Transfer, Quenching and Sensitization. 2.3 A Classification of Photochemical Reaction Pathways. 3.1 Light Sources, Filters, and Detectors. 3.4 Steady-State Emission Spectra and Their Correction. 3.6 Absorption And Emission Spectroscopy With Polarized Light. 3.8 Time-Resolved IR and Raman Spectroscopy. 3.10 Low-Temperature Studies; Matrix Isolation. 4. Quantum Mechanical Models of Electronic Excitation and Photochemical Reactivity. 4.1 Boiling Down The Schr™Dinger Equation. 4.2 Hšckel Molecular Orbital Theory. 4.5 Simple Quantum Chemical Models of Electronic Excitation. 4.6 Pairing Theorems and Dewar’s PMO Theory. 4.7 The Need for Improvement; SCF, CI And DFT Calculations. 4.9 Theoretical Models of Photoreactivity, Correlation Diagrams. 5. Photochemical Reaction Mechanisms and Reaction Intermediates. 5.1 What is a Reaction Mechanism? 5.4 Primary Photochemical Intermediates: Examples and Concepts. 5.5 Photoisomerization of Double Bonds. 6. Chemistry Of Excited Molecules. 6.8 Photosensitizers, Photoinitiators and Photocatalysts.